GYTA53 uses metal strength member as central strength member to provide excellent strain performance of the cable. 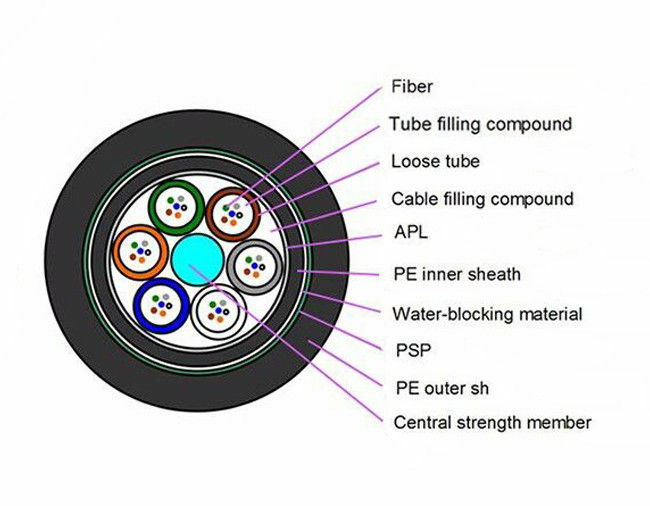 Double-jacket structure provide the cable nice properties of moisture resistance and crush resistance. Double armor structure provides cable good property of rodent-resistance. High strength loose tube is hydrolysis resistant. A layer of water-blocking material is applied around the cable core to prevent water ingress. It can be used for duct and direct buried application, suitable for harsh environments. 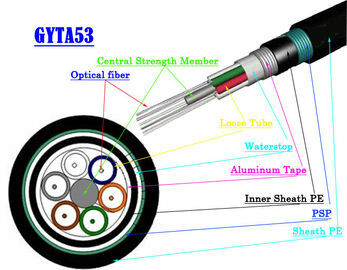 6 SM-fibers placed in each tube. Steel wire as central strength member. The buffered tube filled with filling compound while the stranded core covered with water block material. Aluminum tape as the moisture barrier. Corrugated stainless steel tape armored. 8.1.1 Each single length of cable shall be wound on an Iron stand-wooden composite drum. 8.1.2 Covered by plastic buffer sheet. 8.1.3 Sealed by strong wooden battens. 8.1.4.2 Total quantity is at least the ordered quantity. 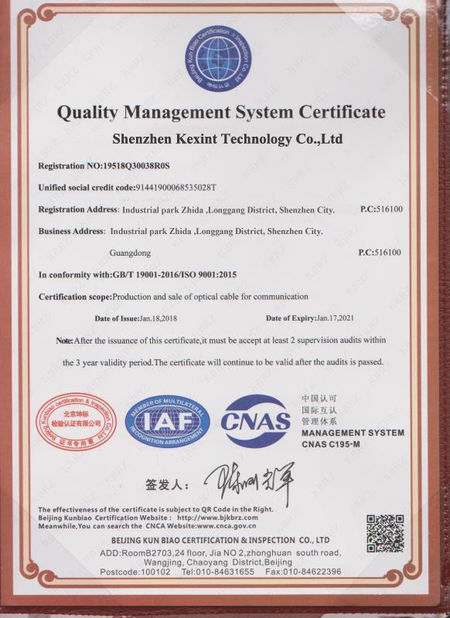 8.1.4.3 Or it can be delivered according to customers’ requirements, but not longer than 5000m. Accurate volume and weight information.